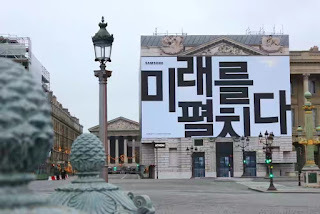 We already know that the next generation of Samsung Galaxy S series will be unveiled at the company's unpack event which will take place on February 20, but it looks like the Galaxy S10s won't be the only thing to be unveiled at the event but also the foldable smartphone. 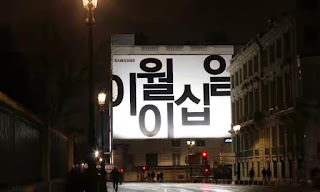 Before now, there have been rumours that Samsung will officially unveil its first generation foldable smartphone on February 20 and now the company seems to have just confirmed it through its latest billboards. Samsung has just installed two giant billboards at Place de la Concorde in Paris. 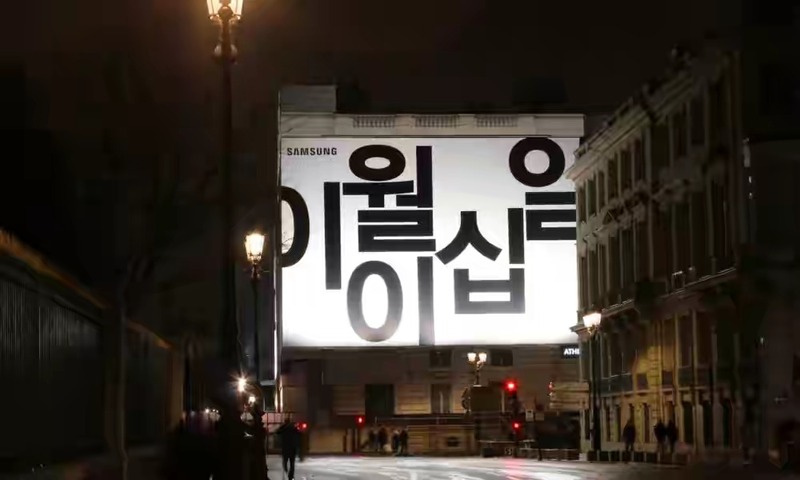 Both billboards are written in Korean. The first read “The future unfolds”, while the second reads “February 20”. This "unfolds" is most likely an indication of Samsung's upcoming foldable smartphone, while the "February 20" is obviously the date of Samsung's unpack event. Samsung first showed off it's foldable smartphone with the "infinity flex display" at the Developer Conference in Moscone Center in San Francisco. The company also recently showed a demoed unit at CES to a few selected audience. The upcoming Samsung foldable phone won't be the first one but we are curious to see what the company has in stock.